Stamp largest star from the Bright and Beautiful stamp set using VersaMark ink onto a 4"x5-1/4" piece of watercolor paper. Cover with clear embossing powder and tap off excess. Heat set with heat tool. After ensuring that the whole image is embossed, add a couple drops of wisteria wonder ink refill to the lid of the wisteria wonder ink pad. Squeeze an Aqua Painter so that the water comes to the tip and dip it into the ink refill pool. Using big strokes, paint over the embossed image, dipping the Aqua Painter into the ink refill as needed. The embossed image will resist the ink and make the image pop. So simple! Add a 1/2"x4" piece of basic gray cardstock to the lower part of the watercolor paper. Add a 1/4"x4" piece of silver glimmer paper above the gray. Wrap basic gray bakers twine around the watercolor paper twice and tie a knot in the back. 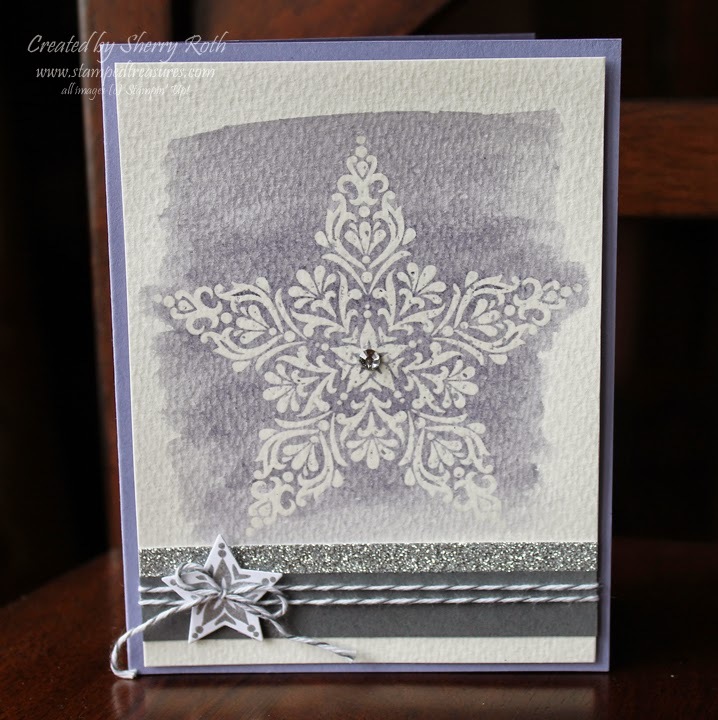 Stamp the smallest star from the Bright and Beautiful stamp set using silver ink and emboss using clear embossing powder. Cut using the star framelits. Add to the lower left side of the card using dimensionals. Tie a bow with gray bakers twine and add it to the centre of the star. Add this to a wisteria wonder card front and you are done! If you are interested in learning new techniques each month, consider joining a stamp club! Each month we learn a new technique, create a technique page and 3 cards. 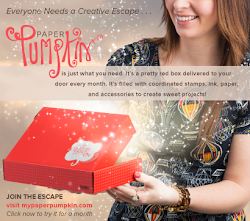 It's a great way to gradually build your supplies and you get to be the hostess one month! This is open to anyone in Canada (virtually or in person, if you are local). If you are interested in more information, send me an email and I can fill you in. Weekly Deals - valid Nov. 4 to 10th. Click on any of the images to see a description of the product or to place an order.